The view from Pyongyang is fundamentally different than that of the West. Pyongyang has not only a more monolithic perspective than that of London or Washington (the natural consequence of any dictatorship), it is a culturally and qualitatively dissimilar viewpoint. In order to analyse the outlook of the Democratic People’s Republic of Korea (DPRK), however, it is first necessary to understand the mindset of its leader, Kim Jong-un. For all the American bombast about Kim being crazy, there is widespread acknowledgement amongst senior Western officials that he is, in fact, quite sane. For instance, a high-ranking CIA representative confirmed that Kim is a ‘very rational actor’. This means that Kim’s actions are more predictable (and more influenceable by the actions or inactions of the international community) than they would otherwise seem to be. Why is this so? The Kim dynasty is largely interested in its own survival. Beyond this, the culture of the country dictates that the concept of ‘face’ is essential, and this feeds into how the DPRK relates to other countries and how it engages in diplomacy. For example, it has been noted that during the far-right violence in America (in Charlottesville, Virginia) that took place in August 2017, the DPRK was notably quiet, despite escalating rhetoric concerning Guam in the preceding weeks. It has been suggested that this sudden de-escalation occurred, at least in part, because it enabled Kim to save face while stepping back from the brinkmanship in which he had been engaged. In all likelihood, the DPRK never intended to follow through on its bellicose statements about Guam, but after US President Donald Trump had responded aggressively to the DPRK’s threats, Kim may have felt he did not have the option to back down from ‘American intimidation’ without losing face in the eyes of his citizens. A significant loss of face could work to delegitimise the Kim family’s claim to special authority over the nation and, ultimately, it could thereby leave their dynasty open to challenge and overthrow. It would be wise for Western leaders to note this ratchet effect, which can occur during particularly tense moments, as well as the release mechanism which allowed rapid de-escalation. This phenomenon should be taken into account in future negotiations. The DPRK sees a world in which imperialist powers loom threateningly, a narrative which has unfortunately been strengthened in the mind of Kim Jong-un over recent months, not least by Trump’s bellicose rhetoric . No doubt intended as a deterrent, Trump’s comments instead served to confirm Kim’s fears – that he is, or will soon be, an American target for regime change. For example, in May 2017, Pyongyang claimed they had foiled a CIA ‘biochemical plot’ to assassinate Kim (although commentators noted it was possible this was an internal coup attempt, expediently ascribed to America). In either case, Kim seems genuinely concerned about the possibility of an assassination, and in February he took on some ex-KGB agents to advise and train his bodyguards. The South Korean intelligence agency has described Kim as ‘extremely nervous’ about the possibility that he may be assassinated in a ‘decapitation operation’. Reinforcing his concerns, it has been reported that the US Navy’s Seal Team Six (who conducted the raid in which Osama bin Laden was killed) trained alongside South Korean special forces in March 2017 in order to practice a surgical strike on Kim in the event of war. More importantly, Kim has taken careful note of the fates of Muammar Gaddafi and Saddam Hussein. According to an ex-CIA analyst, the lesson Kim has taken from these scenarios is that, until he has significant nuclear power of his own, he will remain vulnerable to the vagaries of Western decision-making about whether or not he should remain in power. State media in the DPRK also makes reference to this idea. The annual military exercises (Foal Eagle and Key Resolve) between America and South Korea do nothing to dispel tensions, particularly as Pyongyang fears that the drills will one day be used as cover to achieve the element of surprise in an invasion. Also, Kim feels he is under significant time pressure to achieve military independence. Currently, in the event of the DPRK being attacked, China is bound to act in their defence per the terms of the Sino-DPRK Treaty of 1961, which was most recently renewed in 2001 (but is due to expire in 2021). Recent diplomatic signalling, however, has shown China may already be reluctant to defend the DPRK – and is therefore unlikely to renew the treaty beyond 2021. Also, Kim likely feels the proximity of American allies and weapons (including South Korea, Japan and the US military base on Guam) all too keenly. In all probability, he believes that if the DPRK is not a militarily independent nuclear power by the end of the next four years, the Kim dynasty – and therefore the DPRK – will be at imminent risk of an American (or American-backed) attack. This time pressure is underpinned by the national ideology of the DPRK, juche (self-reliance), which is both political and religious in character. Juche means that Kim is understood as the embodiment of God by his people, rendering the ideas of religious and political leadership inseparable. Various commentators have argued about the extent to which North Koreans actually believe this, but it nonetheless seems clear that Kim, at least, sees himself as the rightful authority over all Koreans (reintegration of North and South Korea is essential to the idea of juche). Indeed, under this system Kim is positioned as the rightful saviour of humanity and civilisation. This concept may sound oddly familiar, and it should, because it mirrors the fundamental notions of American exceptionalism. The real danger in the war of words between Kim and Trump, then, is that both men arguably believe that they are the saviour of their people, and that their nations are the proverbial shining city upon a hill for the rest of humanity. Juche, however, is also about practical things. At its core, juche aims to ensure the sovereign independence of the nation by ensuring it does not need economic, military or other links with other nations in order to function successfully. Another important idea in the DPRK is byungjin (parallel advance), which pursues nuclear weapons on the basis that – once an effective nuclear deterrent has been generated – the fiscal savings achieved can be used to benefit the nation. These ideas underpin Kim’s strategy of nuclear development, and can be seen in the symbolic name of one of his latest test missiles – the Juche Bird. The so-called ‘provocation cycle’ that the DPRK go through when testing new missiles is, perhaps, a strategy designed to intentionally worry the international community – after all, domestically speaking, it legitimises Kim’s massive military spending and gives him greater political authority. Ultimately, though, the cause of this military build-up is simply that Pyongyang is wrestling with the same security dilemma that all states must confront. 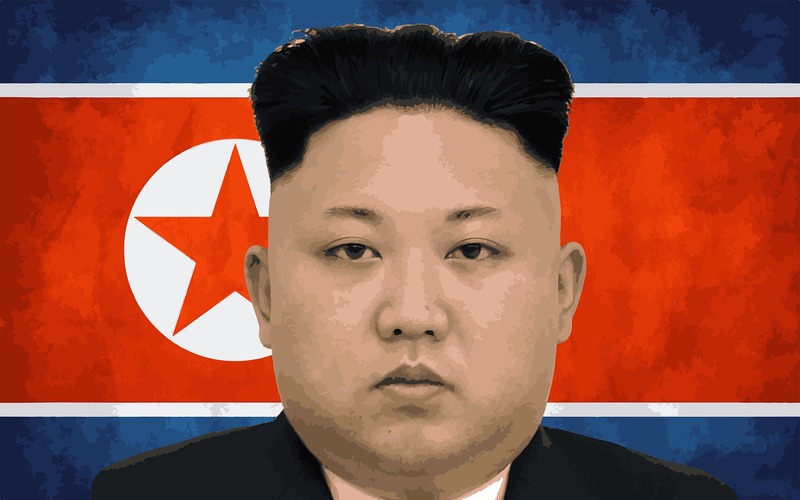 Kim, quite rationally, fears his own assassination or overthrow. He sees America as the primary threat, notes his geographical proximity to various American allies – and sees nuclear weapons as the only functional deterrent. In the contemporary world, and considering Trump’s hawkish stance, he may not be entirely wrong about that. Ashley, an undergraduate in the War Studies BA programme at King’s College London, has research interests including military history, defence and security. She was awarded Third (Equal) Prize in RUSI’s 2016 Trench Gascoigne Essay Prize competition. She also is the founder the Shield blog, which focuses on defence and security analysis (https://shieldblog.com).